At least 23 Afghan security forces were killed in a Taliban attack on a joint US-Afghan base in southwestern Afghanistan, officials said Friday, as fighting continues amid a pause in peace talks between the insurgents and American negotiators. 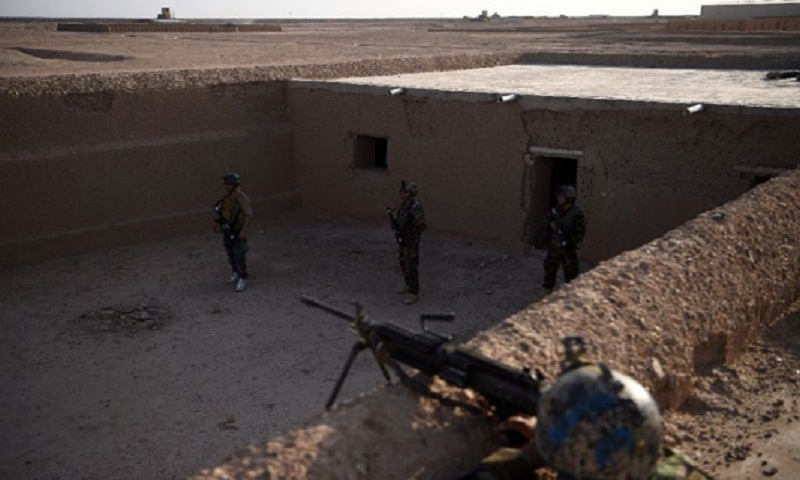 Details of the heavy toll from the hours-long assault on Shorab military base — one of the largest military installations in the country — followed earlier claims by local and US officials that Afghan forces successfully repelled the attack, killing four militants. The pre-dawn assault, claimed by the Taliban, saw militants enter the base in Helmand province and engage in firefights with Afghan forces. Omar Zwak, a spokesman for the provincial governor, also confirmed the toll. The Taliban control or contest more than half of Helmand’s districts and regularly deliver heavy blows to Afghan forces, who have been struggling to hold off insurgents across Afghanistan since taking the lead from NATO forces in late 2014. The assault on Shorab comes as US and Taliban negotiators in Doha have temporarily halted peace talks, which are set to restart over the weekend. US special envoy Zalmay Khalilzad called the latest meetings in the months-long diplomatic push “productive”, saying the two sides “will take the next two days for internal deliberations, with plans to regroup on Saturday”.